Škoda Auto a.s. - Czech carmaker, which produces cars under the brand Škoda. The company's headquarters is located in Mladá Boleslav (Czech Republic). Company logo "winged arrow" was first introduced in 1926, its base are sketches made between 1915 and 1920, Mr. Maglie, who was very passionate about the logo design based on the stylized head of an Indian with a headdress with a circular clasp and five feathers . The word "Indian" in the twenties is often used as a synonym for a new character. The history of car production, now wearing the brand Skoda, began with the end of 1895 in the Czech town of Mladá Boleslav. Mechanic Vaclav Laurin and bookseller Václav Klement, both carried away by cyclists, began to produce bicycles of their own design, calling them patriotically - Slavia. They fared well. By 1899, the company Laurin & Klement Co. start of production of motorcycles. Racers won the first victory in international competitions. At the turn of the century the company has taken another important step - focus on production car was taken. The very first car, Voiturette A, released in 1905, was a commercial success, thus becoming one of the symbols of the Czech automotive history. Thanks to its know-how and experience, the company soon took a stable position in emerging global markets. Laurin & Klement contributed to approval of positions of the Bohemian kingdom as the most industrialized region of the Austro-Hungarian monarchy. During the development of the company was closely within the family business. It's time to go to the next level. In 1907, the founders transformed L & K into a joint-stock company. Progress has led to the creation of a new model - Faeton. After 1914 the company participated in the production of military products. In order to strengthen and maintain their positions, as well as the modernization of production, L & K were looking for a strong partner. Manufacture of motor vehicles under the Skoda brand in the period between 1925 and 1929 amounted to 2985 units. During the Second World War car production decreased markedly. December 15, 1923 in the Czech city of Pilsen registered emblem automotive company "Skoda". In 1869, the young engineer Emil Skoda bought a small mechanical factory in Pilsen. Over time, the plant became one of the largest machine-building enterprises of Czechoslovakia. 27 June 1925 L & K became a part of the largest industrial enterprises in the region, "Skoda Plzen» (Škoda Plzeň). At the end of the story of the brand and the Laurin & Klement, a new company - Škoda. Result - assembly-line production of elegant automobiles, equipped with a variety of great items and win international competitions. However, the name «Laurin & Klement» survived to this day as a symbol of car interiors cabin class "luxury". The Great Depression slowed the development of Škoda, but did not stop it. There was one more successful model - Popular. Since 1 January 1930 the plant in Mladá Boleslav has been transformed into a "joint-stock company the automotive industry» (ASAP). The company entered the car factory in Mlada Boleslav, a branch in Pilsen, repair company "Elka" branches, repair businesses and commercial representation. In the mid-30s on the Škoda project light tank LT vz.35 it was developed. Until 1939, it was released about 300 tanks (factories Skoda produced tanks designed by another Czech company CKD, but fitted with their 37 mm cannons own brand), that after the occupation of Czechoslovakia joined the Wehrmacht participated in hostilities against France, Poland, THE USSR. Last Tank Czech production was destroyed in 1941 during the defeat of the German troops near Moscow. During the Second World War, Škoda became a part of the economic system of the Third Reich and almost completely switched to military production. Gas generating plant produces trucks, crawler tractors, and on the basis developed in 1936 refined the model Škoda Superb issued SUVs Army. The plant produced weapons for the Nazi troops and thus in 1945 to 70% of the factory capacities were destroyed by the Anglo-American bombing. Changes occurred With the end of the war. Work the entire industry was planned centrally. Exchange of information with developing Western partners has been discontinued. Renamed in the national enterprise, AZNP Škoda, the company has become a monopolist in the market for private cars of Czechoslovakia. Thanks to a solid base, the traditional production processes and past success, Czechoslovakia was able to develop in the post-war socialist period, despite the information vacuum and the impact of the existing social order. There are new models - Tudor, Spartak, Octavia and Felicia. However, with the advent of the West in the 1960s, new technology industry of the country began to lag behind. Since 1970, it stagnated in the economy. The plant was able to maintain a leading position only in the Eastern European markets. The breakthrough came only in 1987 with the release of a new model - Favorit. The political changes in 1989 have changed the economic environment. 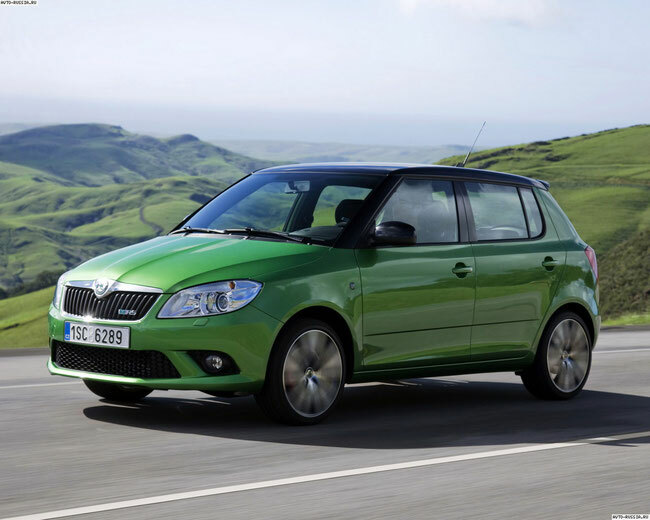 Škoda began to search for a strong foreign partner for investment and technological support. In December 1990, the government has chosen as a partner of Volkswagen AG Concern. April 16, 1991 an agreement was signed for the sale of shares in the 31% owned by Škoda, a.a.s. VAG company for 620 million marks. 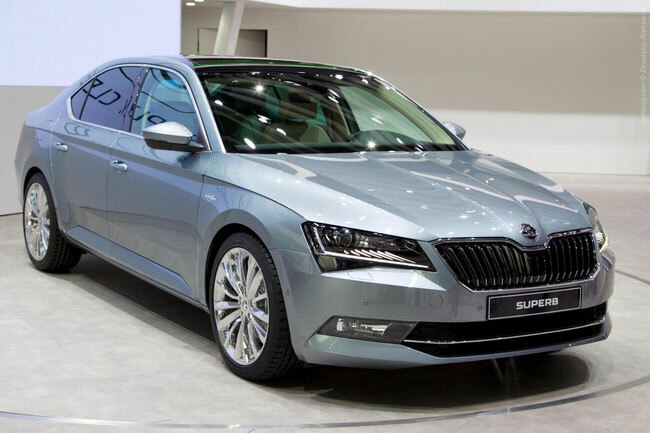 Thus Škoda has joined as the fourth brand to the concern, already unites brands Volkswagen, Audi and SEAT. In December 1995, VAG increased its share to 70% by paying 1.4 billion marks. In January 1998, the company changed its name to Skoda Auto, a.s. Ultimate control VAG received when over 12.3 billion kroons was acquired share of 30% in May 2000. Continued further development of the company. Thanks to cooperation with Western partners and new economic thinking Škoda has taken measures for the modernization of the technical and production base. As a result, there was a competitive model - Felicia. 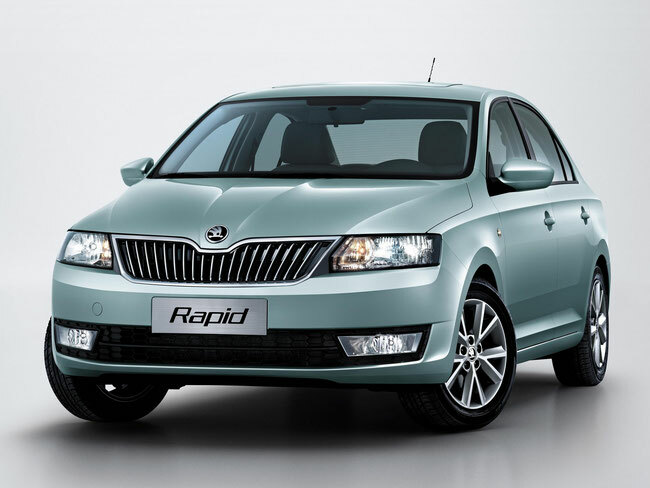 It was followed by more successful models - Octavia, Fabia, and the company's pride - Škoda Superb. In 2011, the group presented a reincarnation Rapid model designed to occupy a niche of budget-class cars B. Spring 2014 liftbek Rapid started selling on the markets of Eastern Europe. Currently, the company, other than passenger cars, manufactures trucks, buses, aviation engines, and agricultural machinery. In addition to the main plant in Mladá Boleslav (where there is also a design center "to itch"), there are assembly plants in Vrchlabí and Kvasiny. There is also an assembly plant in Russia (Kaluga, Nizhny Novgorod), Ukraine (Chop), Kazakhstan (Ust-Kamenogorsk), Bosnia and Herzegovina (Sarajevo) and China (Shanghai). The Mladá Boleslav plant established at Technical School and the University of Skoda Auto, a company that provides highly qualified personnel, technical and economic profiles. The number of employees - 26.1 thousand people.. Revenues in 2005 amounted to € 6,48 Bln. Sales growth in 2008 was 7.1%, only 2008 sold 674.53 thousand cars. Operating income Škoda Auto in 2008 amounted to 565 million euros (15.3 billion kroons), which is less than in 2007 (712 million euros). 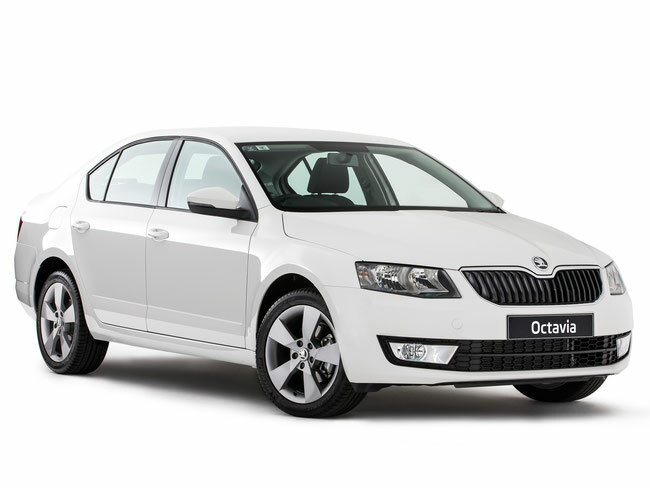 Fabia model, production rose to 244 981 (576 in 2007-243), the Octavia to 355,037 (319,893), the Superb to 27 264 (21 339), Roomster model output fell to 49 535 (75 875). Overall, in 2008, it produced 676,817 cars in 2007 660 683. Net profit amounted to 10.8 billion kroons, 32.3% less than in 2007. The turnover decreased in comparison with 2007 by 9.8% to CZK 200.1 billion. The fall of these indicators Member Holger Kintscher the Board explains the appreciation of the krona relative to other currencies. Also in 2008, Škoda Auto share in the total exports of the Czech Republic was 6.7%. In 2009, without the data on enterprises in China's car production fell by 1.2% to 669 thousand. Revenues decreased by 11.7% to 8,039 million euros in 2008 to 7 100 million euro. Taking into account the total enterprises in China, the company increased sales by 1.4% to 684.2 thousand. Cars. Net profit fell 68% to 3.46 billion kroner, turnover decreased by 6.2% to CZK 187.8 billion. The largest market for the company in 2009, was a German, where sales rose 44% to 162,328 vehicles. In China, sales rose to 122,556 vehicles. On the Central European market, sales declined by 8.5% to 119 923 cars in Eastern Europe would fall by half to 60,464 vehicles. In 2014 Škoda presented the concept maps Škoda VisionC shown at the Geneva Motor Show. ŠKODA VisionC - a new stage in the evolution of the brand, showing the car a dynamic, emotional design.